Bullion Exchanges offers this fantastic 2017 1 oz Tuvalu Spiderman Marvel Series Silver Coin NGC MS 70 Early Releases featuring the worldwide famous hero - the popular Spider-Man. 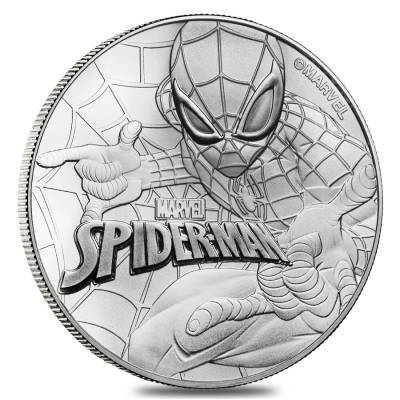 Created by the writer-artist Steve Ditko, Spiderman is one of the most iconic superheroes from the Marvel Comic world. Peter Parker, the original comic-book hero Superman first appeared in the Amazing Fantasy in the 15th issue released August 1962. NGC MS 70 Early Releases - A coin with no-post-production imperfections at 5x magnification. 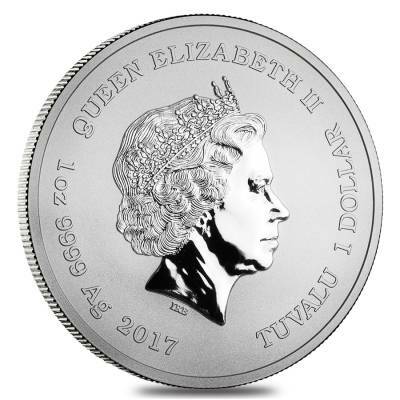 Coin was graded within the first 30 days of coin’s release. 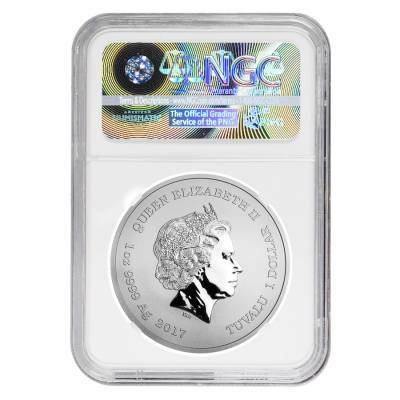 Each individual coin shipped in NGC holder. 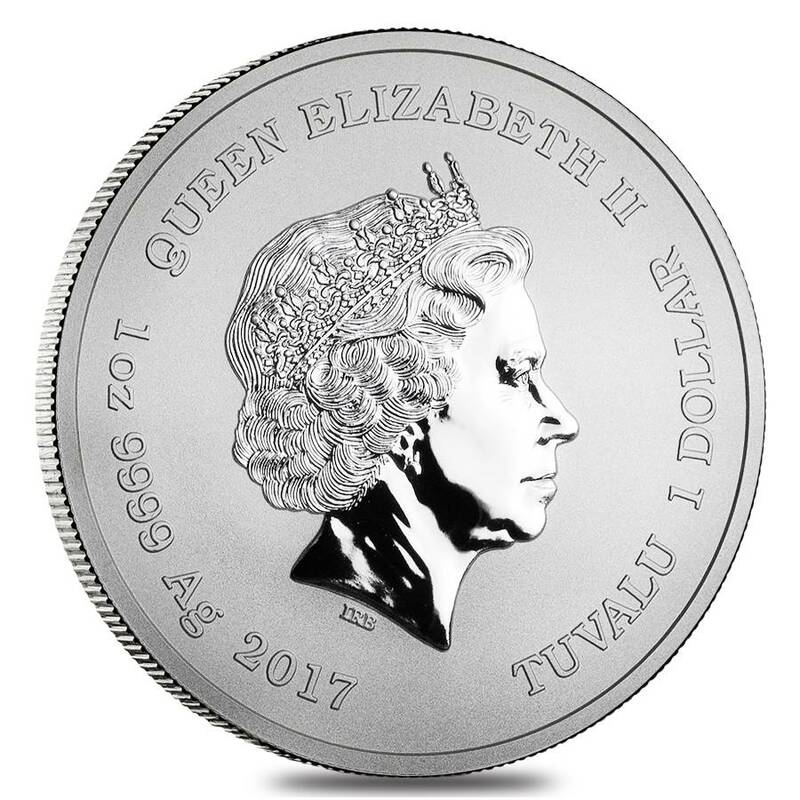 Bullion Exchanges gives you the chance to buy exclusive items from prestigious international mints. 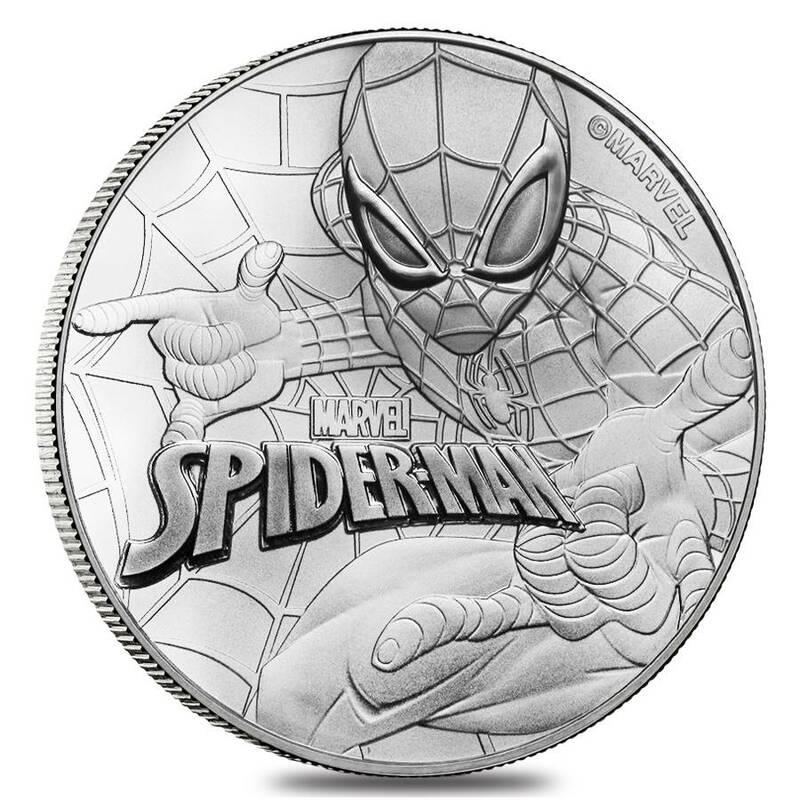 Add these superb coins to your collection today, and it will be carefully wrapped, packaged, and safely delivered to your address. 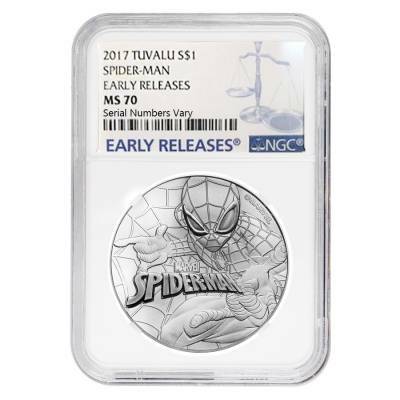 Get this fantastic 2017 1 oz Tuvalu Spiderman Marvel Series Silver Coin NGC MS 70 Early Releases today. For every $1 spend, you will earn 1 Bullionaire Buck which is equivalent to $0.001 off a future purchase. 76 BB = $0.08.